HOW DO OUR ARMS GROW? 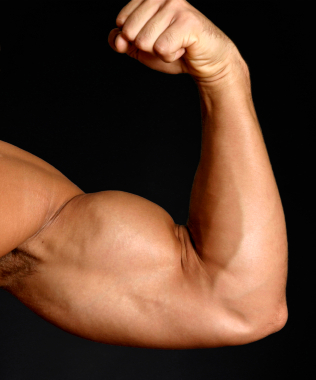 Most people tend to look at their arms as an indicator of the amount of muscle they are gaining, muscle growth in the arms is typically the same as elsewhere in the body except that the arms are known as our show muscles, so how do they grow? This article is a bit technical but I have deliberately avoided throwing numbers and study citations at you because they don’t really help you in the real world of physical results. Sometimes it’s helpful to know which atoms and molecules are broken off, replaced or reordered but that’s the science behind it all and I’m more concerned with the practise of self improvement. Muscle growth typically occurs at the structural and chemical levels. Further, strength increases are highly related to changes in muscle fibre size. Increase in muscle size is typically referred to as hypertrophy. The National Strength and Conditioning Association (USA) reports that hypertrophy in the arms can be observed after about 16 workout sessions. The NSCA purports that increases in muscle size, or hypertrophy, result from an increase in the cross-sectional area of muscle fibres after resistance training in the arms. Resistance training induces increased synthesis of the proteins, actin and myosin. Additional proteins accumulate on the perimeter of each fibre, which increases its diameter. Further, the number of myofibrils within the muscle has been shown to increase, thus adding to increases in muscle size. Two types of muscle fibres exist. Type I fibres are associated with longer-duration activities such as cycling, while type II fibres are engaged during short-duration, explosive activities such as power lifting. Both muscle fibre types are stimulated during resistance training in the arms, although type II fibres are engaged to a greater degree. Therefore, type II muscle fibres tend to increase cross-sectional area to a greater extent than type I fibres. Muscle fibre types have been shown to change as a result of training, according to the National Strength and Conditioning Association. Resistance training results in muscle fibres taking on type II characteristics. Type II fibres are more prone to size increases, and fibre-type conversion may contribute to overall muscle growth in the arms after exercise. Resistance training in the arms increases density and volume of many of the structures that form a muscle fibre, such as the myofibrils, sarcoplasmic reticulum and T-tubules. These changes also contribute to muscle fibre growth and thus increases in muscle cross-sectional area. Resistance training results in cellular changes in the arms as well. Increases in mitochondrial density, capillary density and improved acid-buffering capacity have all been associated with increased muscle size. Wilmore and Costill report that hyperplasia, the splitting of fibres into daughter fibres, may also occur, though research on this topic is equivocal. In the absence of testosterone production ladies will tone and firm their muscles and NOT grow them to man-size proportions. DON’T WORRY LADIES YOU WILL BECOME MORE BEAUTIFUL, NOT BUTCH. 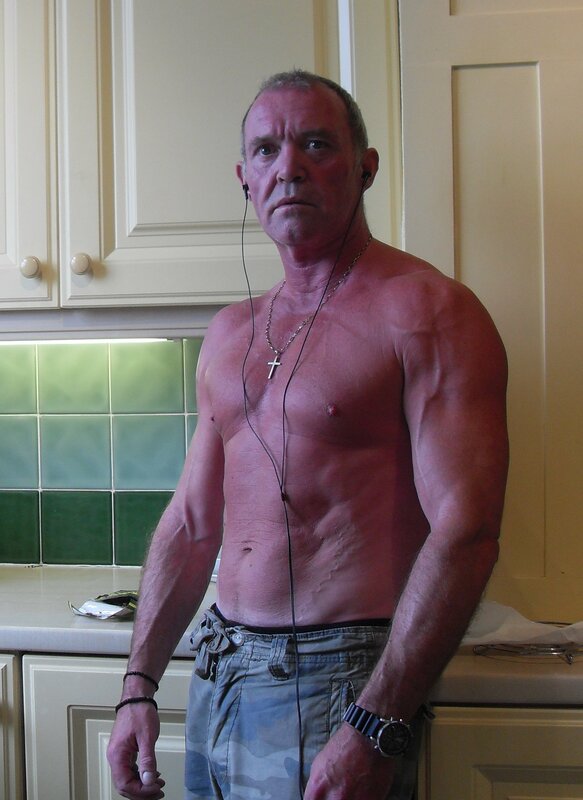 This entry was posted in Personal Training, physique training, Workouts and tagged actin and myosin, Arm training, Biceps, fitness instruction, healthy-living, Hypertrophy, medicine, Muscle Growth, Personal trainer, Triceps on May 13, 2013 by Steve.